Local care provider Grace Care Group are investing in the future of the sector with PM Training, providing school leavers with key skills and experience to springboard their career in health and social care. The Grace Care Group pride themselves on a safe, comfortable and unified place of work for staff and residents. With two care homes in the Stoke-on-Trent area, they have joined with PM Training to provide work placements for the Careworks programme, a dedicated work experience course aimed at providing young people with the employability skills and knowledge needed to progress into a successful career in the health and social care sector. 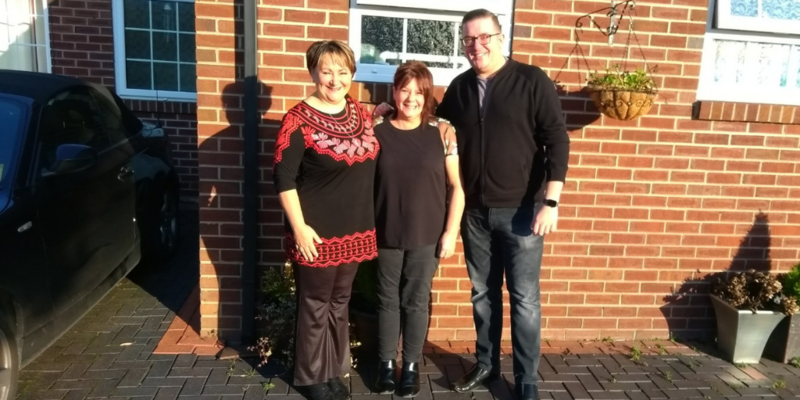 With three learners already working in the sector as a result of Careworks placements within the Grace Care Group, Trish Jones, Regional Manager, talks to us about the importance of the care sector and the need to train and invest in young people. She says: "Care is such an important sector. It's reportedly one of the fastest growing employment sectors in the UK. We believe in giving a chance to young people to learn the skills and learn how to engage with our residents on a individual basis. The fantastic thing about Careworks is that we get young people through the doors. Young people who want to learn, who want to experience everything about care. It may not be something for everyone. But the experiences you gain can really help build a successful career within care or even in the broad spectrum of health and social care." Staff member, Susan Wooton tells us: " I am a long serving staff member here at Allan House. I love my job, it's so rewarding. As many jobs are, it can be hard work but you develop a loving bond with the residents you work with. They trust you and find comfort in seeing you. My job role allows me to promote our residents independence, helping them to make their own choices and look after their needs. For young people looking for a job in care, I would say expect a lot of hard work and dedication but embrace the fun and the laughter that will come along the way." "Nothing beats seeing one of our residents happy and smiling, it makes your job satisfying and so worth while. I love working in care." The Grace Care Group embrace the Dignity Campaign throughout their business passionately believe that being treated with dignity is a basic human right, not an optional extra. They encourage staff to understand that all residents have different needs, personalities and require different forms of care. Trish continues: "One of our learners, Louise, was absolutely lovely. She said she had learned one big thing and that our residents are all individuals. We strive to be able to teach our younger generations how to identify their approach within this and it was great that Louise highlighted this in her placement." If you are a school leaver and would like to learn more about the health and social care sector, our Careworks programme could be perfect for you. If you are a business and would like to partner with an Ofsted graded GOOD training provider please get in touch with a member of the team by clicking here.